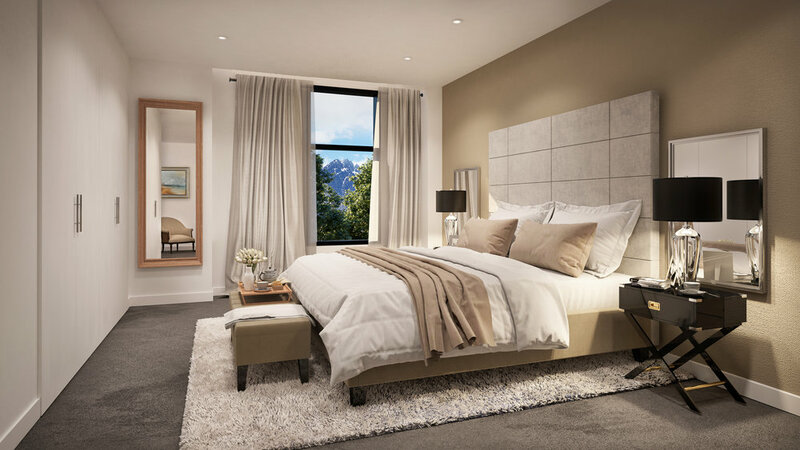 Ignite’s master plan and design strategy for Remarkables Residences maximises the opportunities of the site and the spectacular landscape, as well as ensuring the neighbourhood will have a unique and vibrant character. Remarkables Residences is a landmark residential development in Queenstown. 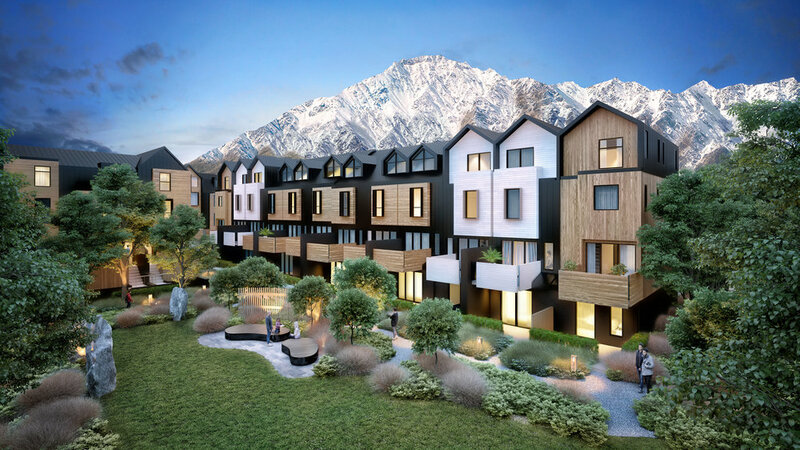 Commissioned in response to the region’s ongoing growth and expansion, the design for Remarkables Residences will provide an example of successful medium density housing. Ignite’s master plan and design strategy maximises the opportunities of the site and the spectacular landscape, as well as ensuring the neighbourhood will have a unique and vibrant character. Located in Frankton on a prominent greenfield site, Remarkables Residences sits adjacent to the new Queenstown Central town centre development – a significant project managed by Ignite’s commercial architecture team. Remarkables Residences will comprise 26 distinct blocks of terrace housing spread across the 2.8 hectare site. It offers a variety of dwelling types with 225 units available in an affordable price bracket. A live/work option (a choice of three or four bedrooms, plus a home office/study), and a standard four-bedroom home, are just two of the six designs available. The strong appeal the studio option has already achieved in the pre-sales period reflects Ignite’s ability to optimise the commercial value of a project. Ignite’s residential architecture team have ensured the development is ideally suited to owner-occupiers, families and property investors. This provides the client with a broad group of potential purchasers, as well as ensuring suitability for a range of tenures. A number of different variations in the façade treatment, including the use of articulation, ensures that the homes have a unique character and street appeal. A deliberately restrained material palette features horizontal and vertically-placed dark-stained, whitewashed and painted weatherboard, bagged brick veneer and black metal balustrades. The colour palette is inspired by the local landscape. Ignite’s interiors team have also worked closely with the client to provide a range of interior packages. The aesthetic is high-end and contemporary. Colours, finishes and textures respond to, and are inspired by, the architectural style of the Remarkables Residences. The internal layout fully maximises the space available. Ignite’s master plan takes inspiration from the traditional architecture of the region, and the unique backdrop of its namesake mountain range. Placement of dwellings throughout the site maximises the potential yield for the client, as well as ensuring optimal living arrangement for residents and the potential to incorporate a significant portion of public green space. The site provides a permeable network for pedestrians, cycles and cars. The provision of communal green areas is also fundamental to the Remarkables Residences master plan. A network of linear and pocket parks run north/south, drawing the neighbourhood together and ensuring connectivity to green spaces and the surrounding public amenities. These outdoor areas offer meandering paths that are developed to allow for different uses – for play, quiet reflection, community gardens and fitness trails. Staggering these open spaces throughout the development protects their users from the cold southerly prevailing winds. Ignite have also worked in close consultation with Baxter Design, who developed the landscaping design.